The leadership blogging series on this site will continue to dance around what is essentially a single point: That blogs are good for getting others to help you describe a problem (the essential prelude to solving it effectively). People who have thought about this potential for any length of time have concluded that an effective infographic is an essential tool for doing this. 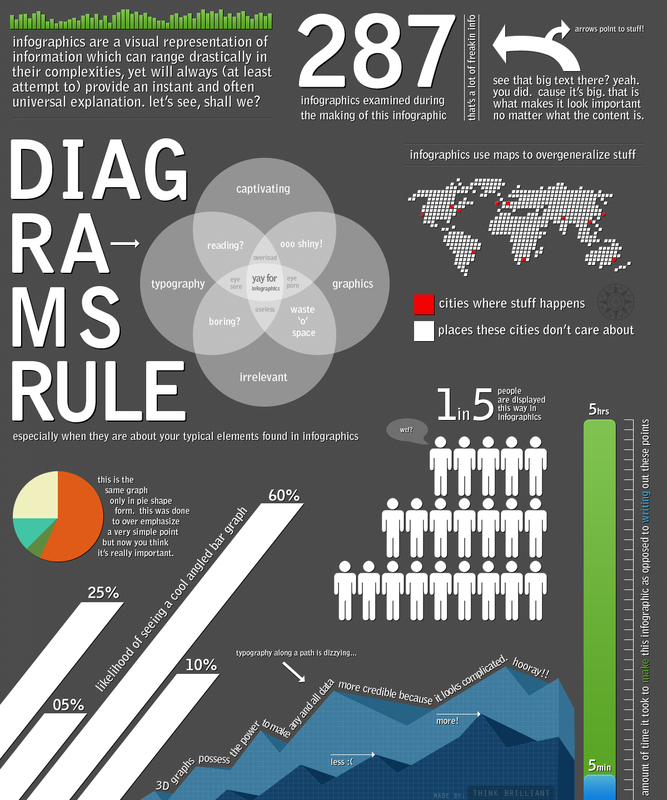 If we make a problem navigable and engaging, more people will get involved in trying to solve it.A good infographic costs money and time to produce, and this is important. If we price other people’s participation at £0, we will only get responses from the time-rich, as this posting illustrates.